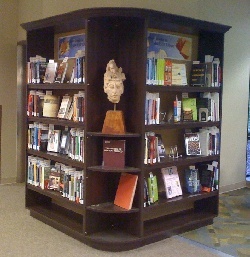 Browse our NEW BOOKS shelf in the Knowledge Commons for some recreational reading over Spring Break. The bookcase on your left as you approach the Research and Information Desk is devoted to showcasing our latest academic book purchases. Come by or check the website to see what we have, and feel free to take as many as you like–everything on display here is available for immediate check out: just take your selections to the circulation desk. ***NEW*** Now you can peruse the New Books Display website to read synopses of each book on display! Titles link directly to our online catalog so you can find similar titles and check availability before your visit. Check out BrowZine, a new service that allows you to browse, read and follow thousands of the library’s scholarly journals available at browzine.com or from your Android and iOS mobile devices.